Denmark was the heartland of viking society in the viking age between 800-1050 AD. 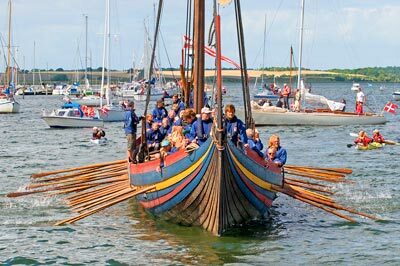 Viking raids left from Denmark and fleets of Danish viking ships attacked and plundered towns, churches and monasteries throughout Western Europe and sailed as far away as Constantinople. Danish vikings were excellent merchants who traded with most of their known world. Danish vikings settled in countries like France and England and were influential in shaping their destinies. Travel to Denmark and visit real viking fortresses, sail in viking ships and relive the culture that made the vikings famous. Come visit Viking Denmark!